I’ve been in some group discussions about resolutions this month (who hasn’t?! ), and I’ve been really surprised with the number of people who have told me they “don’t do resolutions”. I don’t even know what this means, honestly. I mean, I go deep into resolutions. I am a huge fan of Lara Casey’s Powersheets and I love thinking and planning about how my year will go. I’ve always loved a fresh start. Personal growth is a huge value of mine, and I feel like if I don’t put intention into my year, then nothing will happen! Just… nothing! Irrational and dramatic? Always. Probably. But years ago, especially as a brand new mom, I didn’t really have a list of specific ‘resolutions’. Sure I had things I wanted to do in life, but I was going with the flow since I didn’t know what to expect. Instead of a list of things to accomplish, I wrote down a word to focus on for the year. The problem with the one-word method is that I never came up with a plan to ensure I was focusing on the word. I think the intention behind picking the word was good, but my process needed improvement. 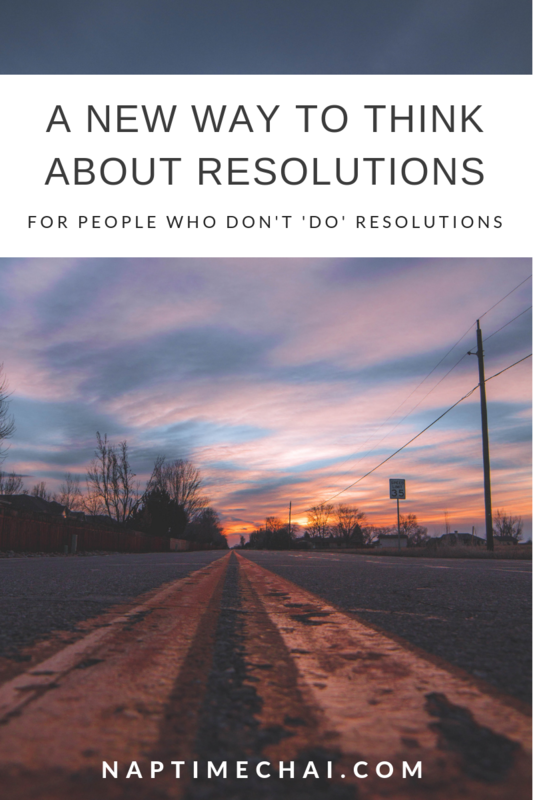 I needed a new way to think about resolutions. My new method to goal-setting is more involved, but also more beneficial. With the help of the Powersheets, I made a list of things that went well last year, things that were challenging, and things I learned. I still decided on a word for 2019, but instead of just stopping there, I also listed ideas and goals that go along with the word. These aren’t huge ‘resolutions’ or goals that will take a year to achieve, but by writing them out for January, I can spend my month intentionally moving forward. I know some of this stuff would undoubtedly happen even if I didn’t write it down or think about it intentionally, but sometimes I feel like I’m just reacting to life and my brain gets cluttered with to-dos. By writing a list of monthly goals, I can ensure that I’m focusing on what I have said I want to focus on this year and am not trying to accomplish too much in too short of a time. If you stretch out your resolutions over 12 months, they seem much more do-able! I already have some ideas on how I’ll be focusing on ‘preparing’ in February and March but I may just change my word after April when I have a newborn! 2) Brainstorm tiny, tiny goals you can make to get you there. Maybe instead of making a huge resolution to complete Whole30 and run a marathon on the road to better health, make a goal to move once per day. Like, don’t even say you’re going to exercise! Just say you’re going to ‘move’ and then if you stretch or walk the dog, consider yourself good! Progress is progress! 3) Hold yourself accountable. Keep a calendar so you can give yourself a check-mark or sticker every day you complete your mini-goal. Or maybe for every week or month, if your goal isn’t a daily one. Accountability is key! 4) Keep going. If you don’t accomplish what you want to one month, try again the next month! And the next! And if it isn’t serving you, change it the next month and try out something that works better. If it helps you to think of a word, by all means, do that. I personally really like that approach. But the key is to think of some big area of your life you want to make improvements in, and draft little steps that will get you closer to your goal. Hopefully, by the end of the year, you’ve made some progress in life and are not the same exact person in the same exact spot you were in at the end of 2018. How are you doing your goals/resolutions this year?! Did you make any progress in January? This entry was posted in about me, consciously evolving, new year resolutions and tagged new year resolutions, resolutions. Bookmark the permalink.